some of the policies which Praxagora proposes. the claim that comedies were performed in the afternoons after tragedies. of the tragedies performed prior to Maricas. illustrate the ideological and meta-poetical development of this motif in its home genre. of the natural world into Roman poetry. ancient educational text, which was first proposed by Marrou and Bonner, seems more likely. additional level of moral evaluation that supplements the biographer's standard syncritical approach. 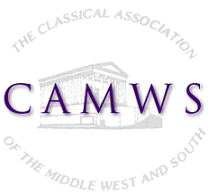 current scholarship about classics and film. 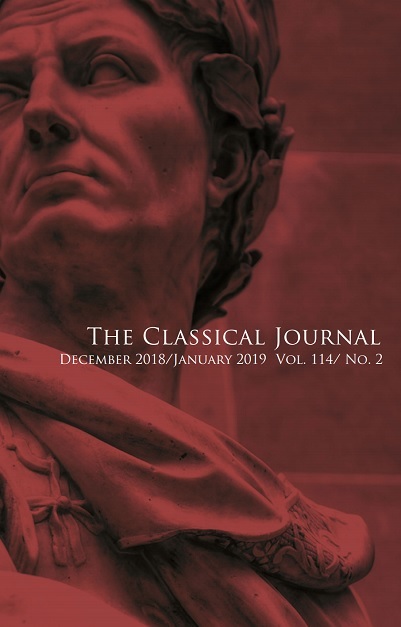 Presidential Address: "Taxes, Taxes, Taxes"
The study of classics and film has become in recent years a significant and rewarding critical sub-field in the study of classical receptions. When a movie or television series aims to recreate the ancient world or some feature thereof, filmmakers often call upon professional classicists to aid them as academic consultants. The following essay describes my professional interactions with several people working on this film, from the production assistants who first contacted me, to the dialect coach with whom I worked closely to prepare the lines of dialogue to be used in the film, to the actor whom I coached in Latin pronunciation and delivery. Here I explore what it was like for a scholar of classical receptions to watch a cinematic classical reception happening in real time, that is, how actual filmmakers and actual actors relate to and talk about the process of reception in which they are unwittingly engaged. Most importantly, this essay considers how the experience on a movie set can affect our understanding-and indeed even influence our practice-of current scholarship about classics and film.